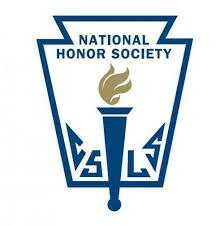 The National Honor Society (NHS) is an elite organization of students that have excellent academic standing as well as service to their school and or community. NHS membership gives students an advantage when applying to college. NHS members stand out at graduation because they wear a gold stole and tassel. • Requires a 3.5 gpa to be eligible. • NHS advisor checks elegibility in the spring of your child’s junior and senior years. • List of eligibility is posted and applications are made available. • Faculty evaluates each eligible student on leadership, character and service. • Community Service is required. • participation in a school sports. • involvement in school clubs especially rotary interact, key club and student government. • boy scouts or girl scouts. • youth groups or volunteer programs.